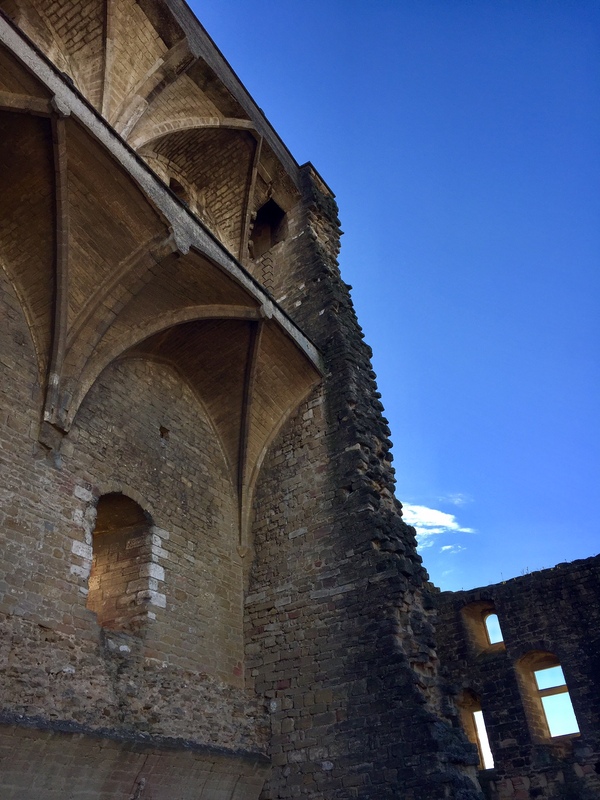 AdVINEtures recently spent 5 days in Châteauneuf-du-Pape, the historic and beautiful wine region of France’s Southern Rhone Valley. The region is rich in history and the wines that it produces can be among the very best in France and the world. 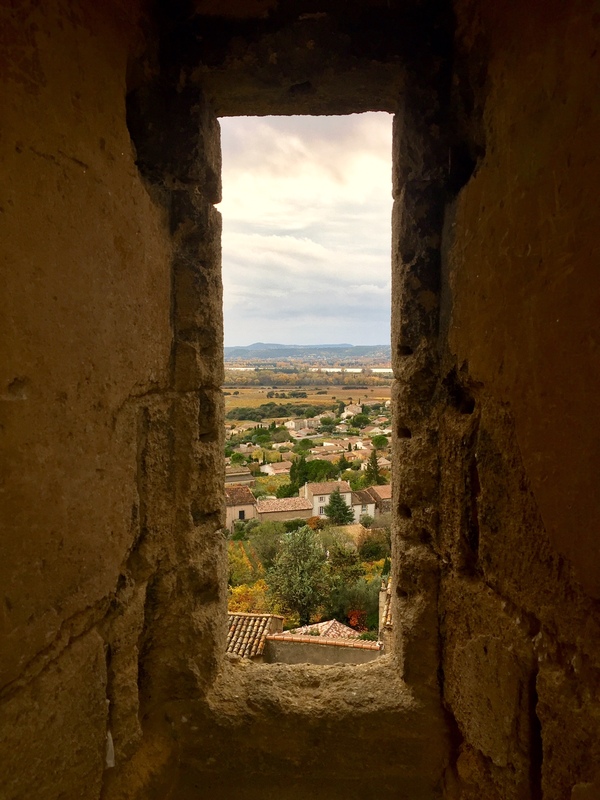 This primer will provide some of the background information about this region and will give some context to the future articles that we will be publishing about the wines of Châteauneuf-du-Pape. Châteauneuf-du-Pape means “new castle of the Pope”. In 1309, Pope Clement V transferred the papacy from the Vatican to the town of Avignon to the south of what is now the “appellation d’origine controlee” (AOC), the French term for viticultural area. Not too surprisingly, Clement V was a wine lover and also spent time in Bordeaux at what is now known as Chateau Pape Clement in Pessac Leognan. After 69 years the papacy was transferred back to Rome, but thanks to the efforts of Clement V and his successor, John XII, the region had become firmly established as a wine growing area. By the 19th Century some of today’s better established wineries such as Fortia, Chateau La Nerthe and others in Châteauneuf-du-Pape were just getting going. When the 1866 phylloxera epidemic hit France and most of the rest of Europe, Chateauneuf du Pape was not spared. Most of the vineyards were destroyed and many vignerons left the area. It was not until the 1880s that any significant re-planting took place. Throughout this period as Châteauneuf-du-Pape was developing as a wine region, it sat in the shadows cast by Burgundy. Both Clement V and John XII were avid Burgundy fans and did much to promote the wines of that region. Burgundy negociants at that time were purchasing bulk wine from Châteauneuf-du-Pape to blend with their own wines to add colour and backbone. By the beginning of the 20th Century Chateauneuf grew its acres under vine to 700 from just 200 acres only 20 years before. The man who can take much of the credit for bringing Châteauneuf-du-Pape out from the shadow of Burgundy and into a premier wine growing region on its own was Baron Purre le Roy. Le Roy had amassed considerable holdings in Chateauneuf including such wineries as La Nerthe, Fortia, Rayas and Vaudieu. 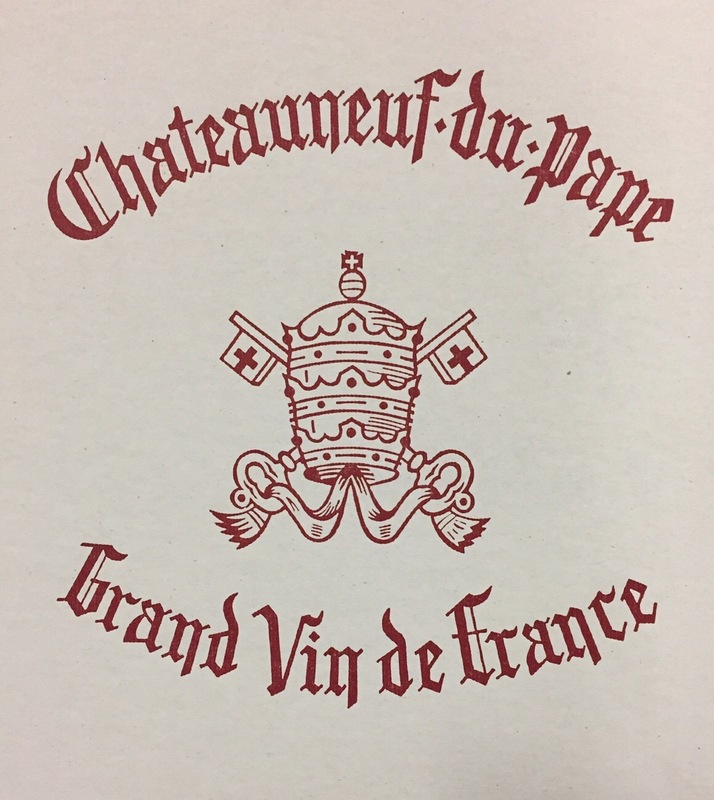 The Baron was involved with the Institu Naticionales Appellations d’Origine (INAO) and in 1936 Châteauneuf-du-Pape was created as France’s first AOC, which adopted various regulations to assure the quality of the wines made in the region: 13 grape varieties are permitted; plantings must be between 2500 and 3000 vines per acre and vines must be at least 4 years of age before their fruit can be included in the blend; and the wines must be at least 12.5% alcohol. 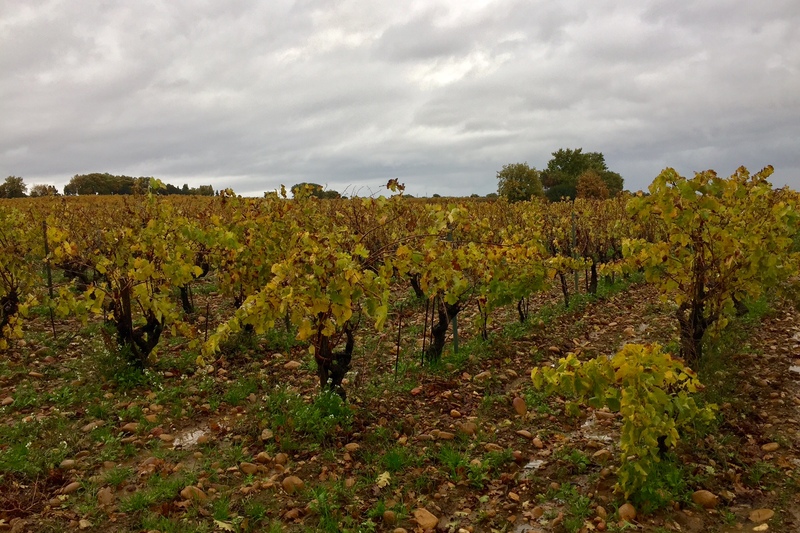 Châteauneuf-du-Pape is generally dry-farmed and is limited by these regulations to a maximum of 2 irrigations per year. Châteauneuf-du-Pape covers 3200 Ha making it the largest AOC within the Rhone Valley. There are 300 Domaines within the AOC. Sitting just north of Provence and the Mediterranean Sea, it enjoys a hot and windy growing season. 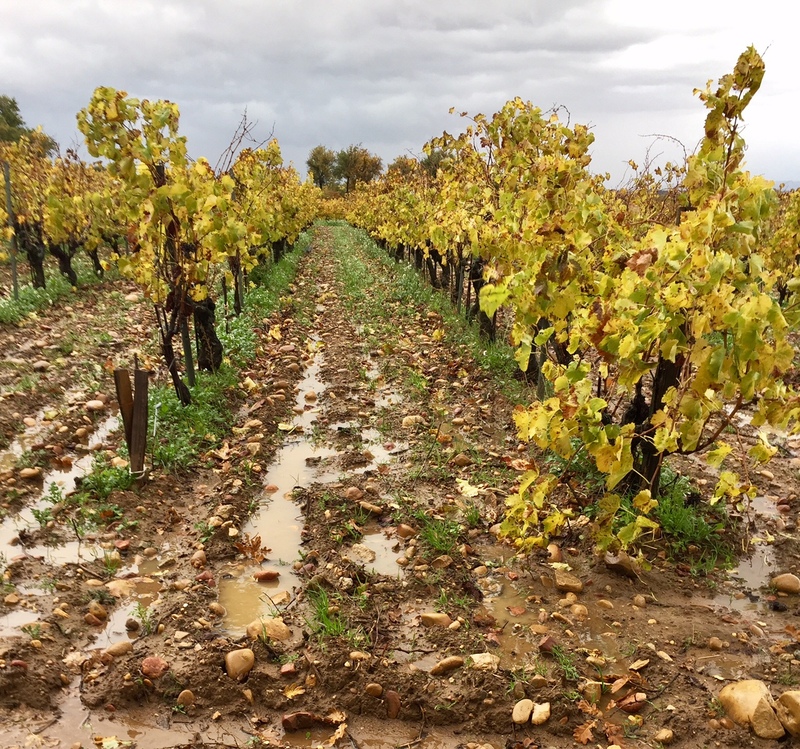 Those winds, known as La Mistral keep the vineyards clean by not allowing moisture to accumulate thus minimizing opportunities for vine disease and rot. Temperatures can get up to 30 to 40 degrees C in the summer, similar to Paso Robles in California. Heat is increasingly a problem in the region with harvests now regularly taking place in early September, whereas early October had been the norm for that activity. The soil system in the region was created some 60 million years ago as the Mediterranean Sea receded, leaving a bed of sandy soil based clay and limestone. As the ice age retreated up the Alps it created a bed of rocks that sit above that bedrock. Over the years those rocks became polished to the smooth, round galet roules the region is now famous for. These galets, which are roughly the size of your hand are a key component of the terroir. The rocks heat up during the day and release that heat back onto the vines in the cool of the evenings, enhancing the ripening process. While the galets roules are the signature for the AOC, the reality is that soil types within the region are quite varied. The four primary soil types within the AOC include the galets roules as well as limestone rock, sandstone-clay and sand. Each substrate will impart a different character to the grapes it produces, but a generalization would be that the finer the soil, the more elegant the resulting wine. There are 13 permitted grapes that can be grown within this AOC. (Some authors have sited 18 varieties which includes the blanc, noir and gris versions of the varieties but all of the people we spoke with in the region refer to just the 13 basic grape varieties). Grenache (noir) dominates with over 70% of the vines being planted to this variety (75% if you include the blanc and gris versions). The Grenache can handle the AOC’s heat and produces a wine of great substance, high in alcohol and full of body that offers up red fruit notes (cherry, strawberry) redolent of Kirsch with added spice. Sometimes vented as a stand alone varietal wine (notably Rayas, Chapoutier Barbe Rac, and Pierre Usseglio Mon Aieul among others) but more often in a blend with some of the other permitted varietals. On its own Grenache can produce a wine lacking in colour and be quite high in alcohol. Blending can mitigate these traits and produce wines of greater balance. Syrah had been the chief partner and was valued for the colour, structure and spice qualities it brought to the blend. In 2004 it was the second most planted variety at roughly 10% of the acreage planted. In 2014 that acreage had fallen to 2% and Mouvedre had risen to the number 2 spot at 7%. Talking with vingerons in Châteauneuf-du-Pape we learned that Mouvedre was increasingly being valued for its meaty, almost feral qualities, inky colour and lower alcohol. With warming temperatures the Syrah seemed to be losing some of its character. After these 3 varieties, the remaining permitted grapes make up only 9% of the acreage under vine, but they still add important characteristics and complexity to the final blend. 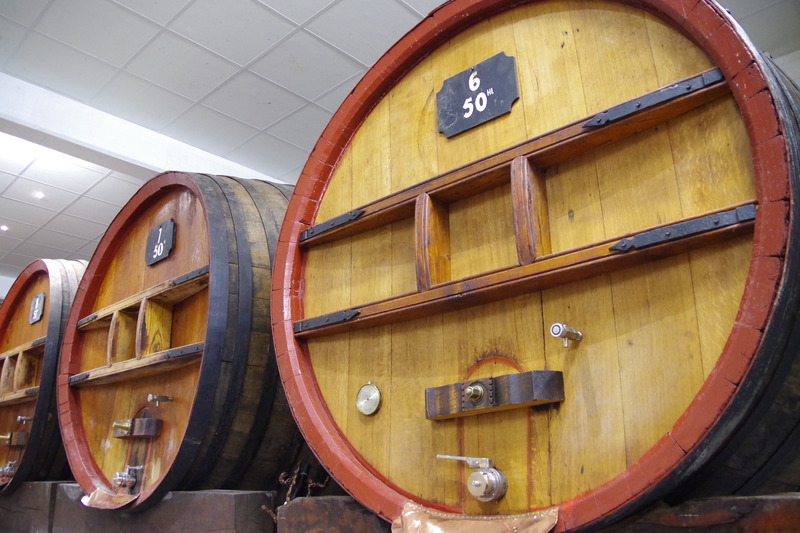 Some wineries use all 13 varieties in their blend, such as Beaucastel and Clos des Papes. Those varieties are: Cinsault, Vaccarèse, Counoise, Muscardin, and Terret noir of the reds and Grenache Blanc, Clairette, Bourboulenc, Roussanne ,Picpoul and Picardan of the whites. The red wines that make up some 94% of the region’s production are full-bodied, generous wines driven by red fruit characteristics supported by notes of cracked pepper and the local Provencal herbs, referred to in the region as garrigue. Alcohol levels tend to be high; 14% was once the norm but 15% is now commonly seen and even 16% doesn’t raise an eye brow any more. (For context, Bordeaux might be more like 12.5%-13.5%, Napa 13.5%-14.5%, and Barolo 14%-15%.) Perhaps only California Zinfandel and Australian Shiraz regularly clock in at similar numbers. The higher alcohol content in our experience with Châteauneuf-du-Pape has added body and glycerin to the better wines without adding that sensation of heat that alcohol can bring when the wine does not have good balance. Of course this is a generalization and there are exceptions to every rule. There are certainly wines of great finesse being made there, such as Font du Loup that takes advantage of the sandier soils in the Courthezon area of the region to produce wines of great elegance. The body of the better Châteauneuf-du-Papes is backed up with tannins in their youth and always joined by earth and spice notes that linger on the finish. We find these wines to be versatile partners with many foods, in particular, we find they pair well with robust flavours that can stand up to the wine’s powerful expression. Stews, grilled meats, and anything spicy or rich in texture often finds a partner at the table with a Châteauneuf-du-Pape red wine. We tend to drink our Chateuaneufs at 6-12 years from the vintage. Though many can go much longer (Beaucastel and others using a high percentage of Mouvedre), the warm, rich fruit driven character seems to bring greater reward once the tannin has been polished a bit but still remains present enough to maintain backbone. The whites tend to be rich, full wines with flavours of pear, apricot, mango and spice with lush texture balanced with citrus notes that add structure and acidity. 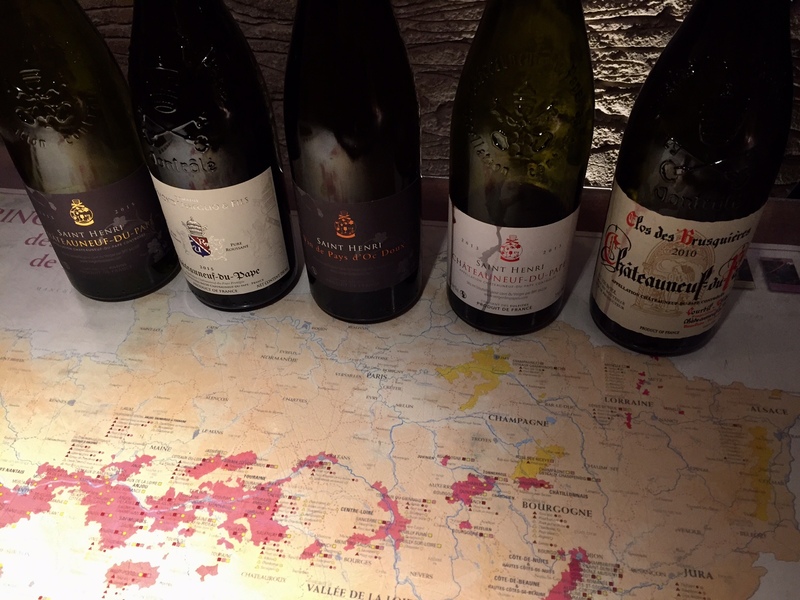 They are fruit forward, and while the very best can certainly age (Beaucastel Vieille Vignes Blanc is reputed to last for 2 decades), most will probably offer their greatest joy in their exuberant youth, up to 6 years from the vintage. 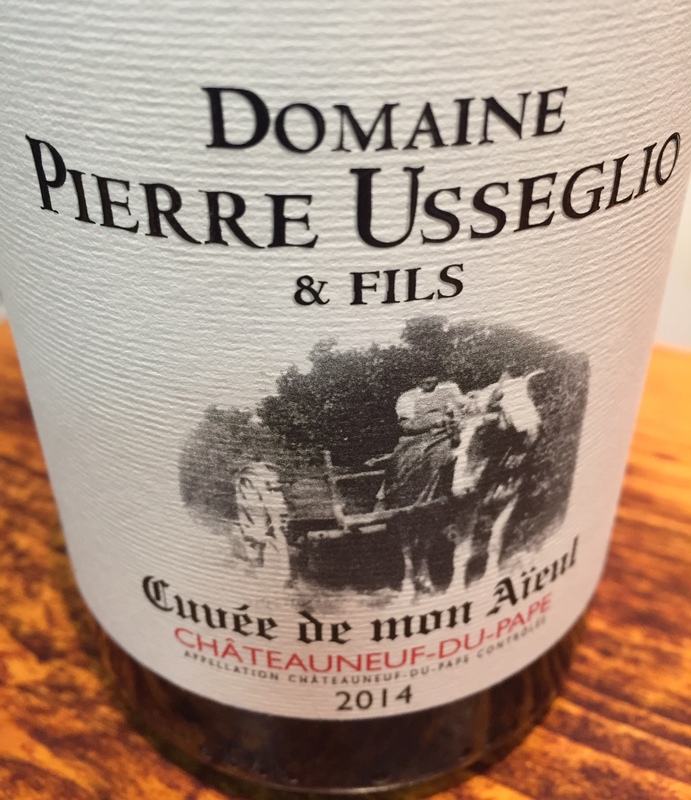 Roussanne, Clairette and Bourboulenc bring body to the blend, Grenache Blanc can bring some body but will also give backbone through its juicy acidity and citrus notes while the remainder add spice and complexity to the blend. Notable domains in Châteauneuf-du-Pape include: Chateau de Beaucastel, Domaine Pierre Usseglio, Domaine Pegau, Clos Saint-Jean, Le Vieux Donjon, La Vieille Julienne, Chateau La Nerthe, Rayas, Clos des Papes, Chateau de la Font du Loup, Domaine Banneret, and Le Vieux Telegraph. 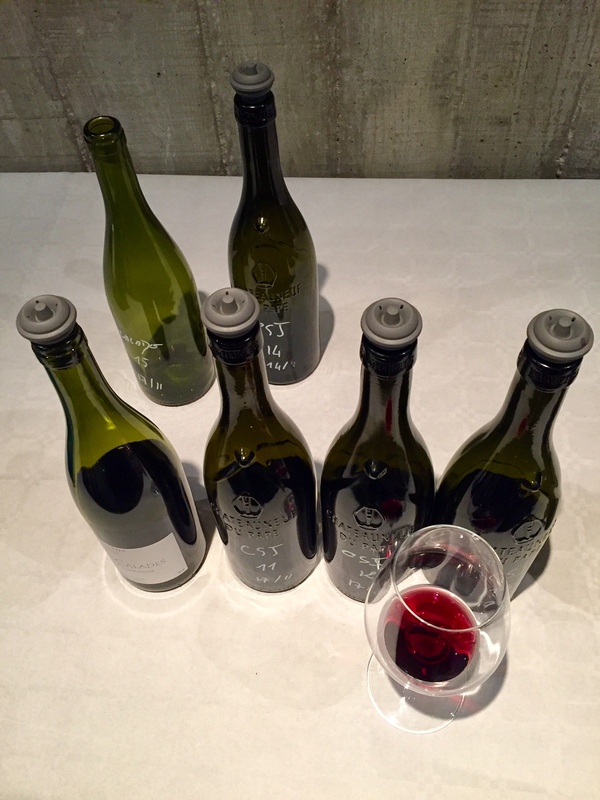 We noted two styles of winemaking as we tasted over 40 wines on our trip. Traditional Châteauneuf-du-Pape favours the use of large and used oak, or concrete or stainless steel to produce a fresher style. Stems are included, anywhere from 20% to 100%, depending on the style being sought and the philosophy of the Domaine. Tannic in their youth, these traditional wines need at least 5 years from the vintage to deliver their full potential. The modernists have sought to make a more international style of wine, initially focused on appealing to a more American palate. Later picking is utilized to create a riper expression. New and once used barrels are used as a part of the elevage. Grapes are de-stemmed prior to fermentation. 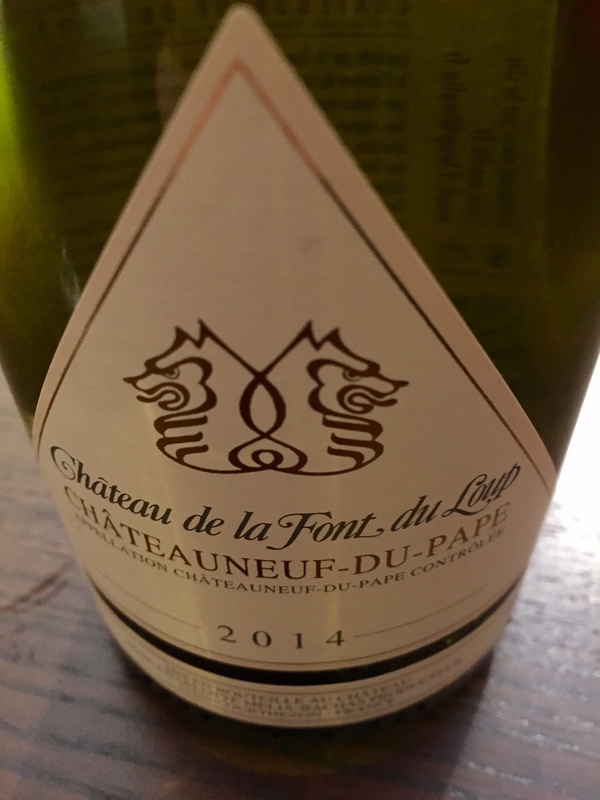 The result is a bigger, more fruit-forward expression of Châteauneuf-du-Pape. The famed enologist Phillippe Cambie can be seen as the main protagonist in this movement. 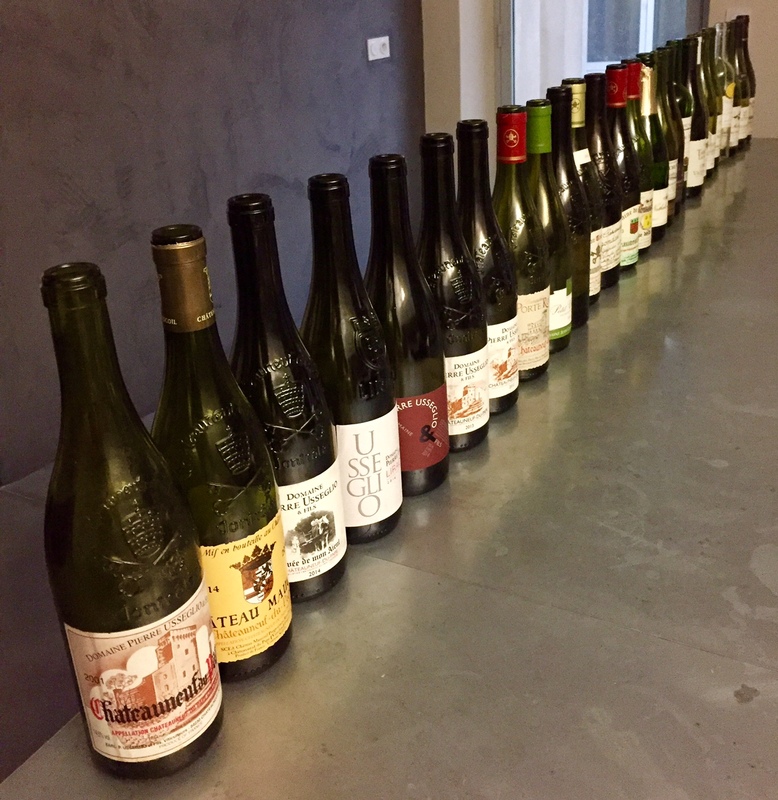 We tasted some very modern wines (Clos Saint-Jean) and some very traditional wines (Domaine Banneret) and plenty that sit somewhere in-between. There is definitely a place for both styles in our cellar! The Southern Rhone is blessed with a climate ideal for wine growing. Warm, sunny and windy, the region seldom struggles to ripen its grapes. When we were there we tasted wines from the 2011, 2012, 2013, 2014 and 2015 vintages. 2011 and 2013 showed the effects of a cooler vintage with less body and a bit more angularity. 2012 and 2014 both showed better balance and greater richness as well as depth for fruit. 2015 stood above the others in terms of its quality in our books showing great depth, colour and a very rich expression. All of the people we spoke with thought that 2015 was an excellent year, the best since 2010. But 2016 was where all of the buzz was. We did not get to taste any, but everyone in the village was extremely excited about it, with most anticipating it to eclipse 2010 and 2007, the two recent star vintages. For collectors seeking the best back vintages, look for 2010, 2009, 2007, 2005, 2003, 2001, 2000 and 1998. We will see you in line when the 2016’s get released! One final word: pricing. The world of fine wine has become increasingly expensive. Collectors have driven the price of the top wines from around the world to very lofty levels. Grand Cru Burgundy, top growth Bordeaux, and the best from Piedmont and Napa will run you several hundred dollars a bottle, or in a few cases, several thousand. Châteauneuf-du-Pape has a few special cuvées that sell for several hundred dollars per bottle. But the vast majority of these wines can be purchased for $50 to $100 per bottle. These are wines that can compete on a world scale yet are a relative steal when compared to similar quality wines from other regions that have that cult cachet. 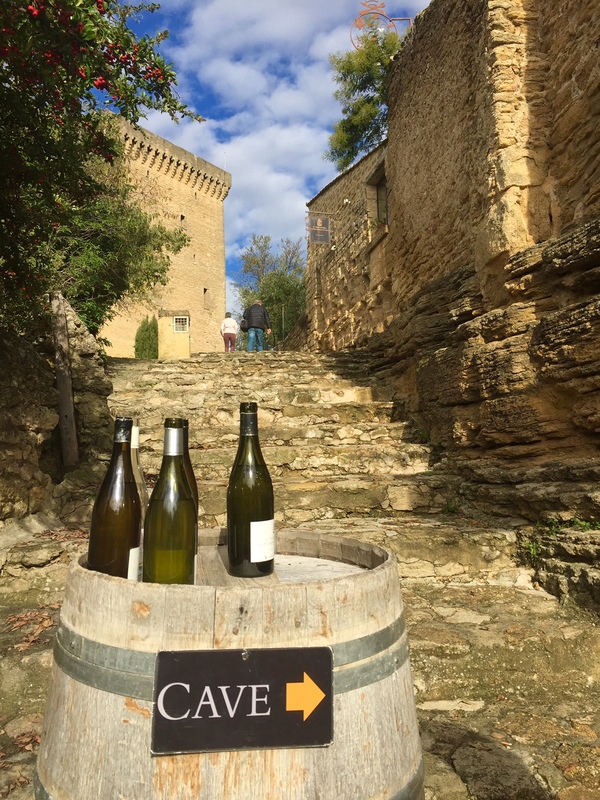 Combine that with a diversity of styles, an open drinking window and an affinity for the table, we think that Châteauneuf-du-Pape is a contender for one of the top regions in the world for savvy wine shoppers to be checking out. What a well written article! Very informative for us lesser wine mortals. I’m ready to open a bottle of Chateauneuf right now. Hardly sir! And we’re sticking with the plan to buy out the entire 2017 & 2018 vintages, you in? This is a wonderful overview! Anyone considering a trip to the region benefits from this read! Thank you so much Greg! Cheers! CDP, and all the Southern Rhône crus, are so delightful. Aren’t the stoney vineyards so distinctly beautiful? Agreed! We can’t wait to get back–so many places there still left to explore! 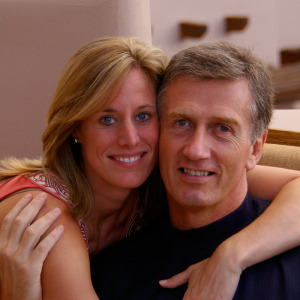 Great overview of the region and I am highly jealous of your adventures – what a fabulous experience! Thank you! It’s a magical place, we highly recommend!